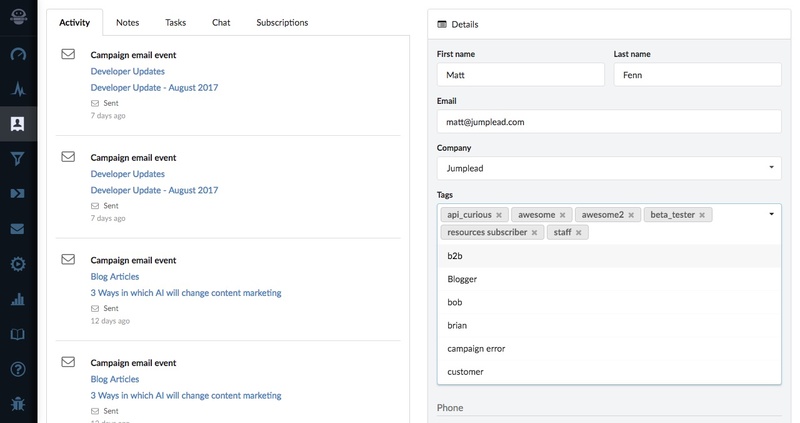 Tags are a great way to create segments of your contacts for use with email broadcasts and as well as adding a tag using an automation, you can add a tag to a contact manually. Select from any existing tags or type a new tag and press the return key to enter it. The click the 'Save details' button.